It's not Dr. House anymore. It's now Dr. Watson, my new TV Doctor crush. 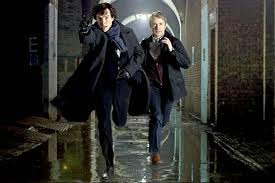 Ohhhhhh, I can't stand it that the new Sherlock Holmes (2010) BBC series is insanely good! David and Mel suggested this show to me and I just want more! 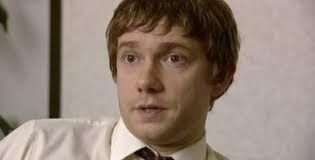 Martin Freeman plays Dr. Watson. I have liked him in other shows such as the BBC version of The Office (he's Tim, brit version of Jim) and he is in Love Actually as well. One of my top movies I enjoy. 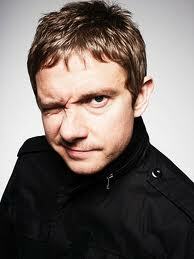 But to make it even better, I was just informed that he will play Bilbo in the anticipated The Hobbit! Oh dear me, I just can't wait! Even cooler...We share the same birthdate. How cool is that? I like Tim 10,000 times more than Jim.